Wild and untamed, Tarek al-Khalij was never meant to rule Tahar. Now this lethal warrior must heal the suffering his brother's rule inflicted. To do it, he needs his most precious – and dangerous – weapon yet...a royal bride! Elegant and poised, Queen Olivia will educate Tarek in the civilised art of political warfare. But in exchange, Tarek unleashes an unrestrained, primal passion she never knew he possessed. Soon, Olivia realises that she has become inescapably bound...to the warrior king! Louisiana billionaire Gervais Reynaud's focus is on his family's football dynasty – he has no time for romance. But he can't say no to a tryst with Erika Mitras. True, she's a princess, but in no way prim...or proper. Their time together is unbelievable...and all too short. Until Gervais learns the truth: he's about to be a father to royal twins! After leaving her overbearing family, Erika wants nothing from Gervais. But the tempting tycoon just may charm her into a future she desires all too much. 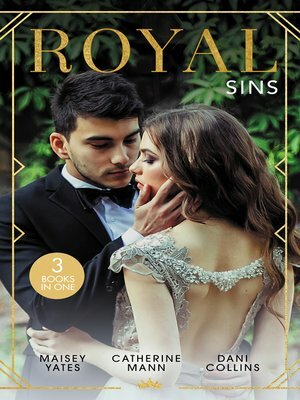 To ensure his sister's successful marriage, Kasim, Crown Prince of Zhamair, must stop Angelique Sauveterre's alleged affair with his future brother-in-law. But when Angelique denies any involvement, Kasim can't resist the chance to make the feisty beauty his! But can he give her more than passion and precious jewels?